I am eating my own soul with hatred. I am curled up, gnawing at my knees with loathing. I despise the world and nothing would please me more than seeing it destroyed. I do not know how long I have been imprisoned in this watery world. I am blind and immobilised; I remember nothing of how I got here. I dimly recall fighting the righteous in the fields and being vanquished, and my spirit soared the ether for two ages as humans counted years. I burned in hell-fire for thrice that period, punished for crimes against humanity. Now I have my new prison – this confining space, where my mind is addled; where all I have is my animus. Why is the water so warm? Is it close to where I suffered the agonies of the fire? Perhaps. Why am I alive, given that I am immersed in this viscous liquid? I cannot be sure, but I feel that I am being nourished in some way. I have wondered about many things, and never get any answers. This is part of the torture, the punishment. I’m special, anointed, superior. That was why I was persecuted and banished from the world. Death is not a finality for me, and I know I will return. One day. Oh they will suffer. They will grovel before me and pray to be my slaves. The water has its own special sound. It is like the wind rustling in the trees, or waves breaking on the shores. It has a rhythm to it, like a heartbeat, and it seduces me with feelings of comfort and security. It lies. How can it give the impression of wholesomeness when it knows that I am confined in this agonising eternity? Another, more cruel dimension to the torment. Wait! Something is happening! The rhythm is picking up pace and I feel pressure about me. Is this it? Is this the time I will be freed and finally fulfil my destiny? The water, it is receding. Rapidly. I feel like I am being crushed, and yet I am being liberated. Freedom! Chaotic, churning confusion. I am constricted and I feel that my life-system is shutting down. I feel something grasp my head with a titanic grip, and now I am washed in a cold blast of air! Light penetrates my eyelids and I force my eyes open, as I am choking – dying from lack of air. My back is slammed and I vomit the remains of the liquid that was in my lungs. I see nothing but indistinct images around me as I gulp for air. I cry. I cannot help it! Laid on some bed I see blurry human figures, masked, stare at me. I continue to cry. I try to move my body and all I can do is wave my arms and legs uselessly. I have no control. I catch a glimpse of a golden cross around one neck. 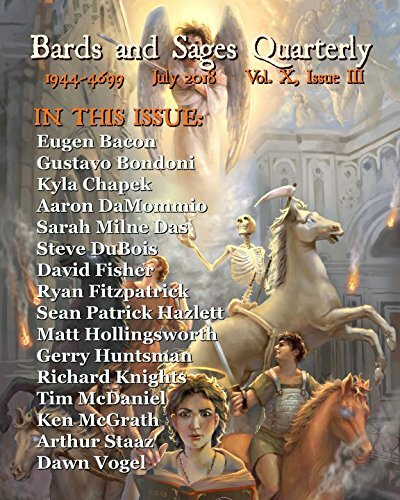 Posted on October 22, 2009 by Gerry HuntmanPosted in UncategorizedTagged horror, my animus, short story, writing.